Fans of Killzone series, we bring good news for you. A sharp gamer who has got access to the BETA has confirmed that the sorely missed and much anticipated “Party System” feature which was lacking in Killzone 2 will be making an appearance in Guerrilla’s latest. 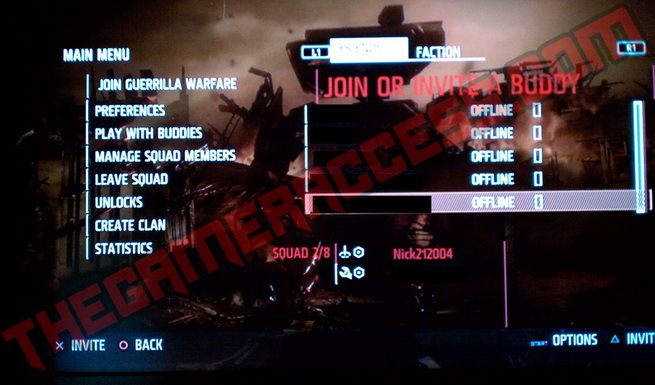 They have implemented the Party System into the multiplayer of Killzone 3 much to the delight of fans worldwide. Here’s an image confirming the same. Killzone 3 BETA keys are being handed out to the few lucky thousands who were selected as we speak and a few lucky guys ( like this one ) has even started taking active part in it. Expect our own Hands-on coverage in days to come and lots more updates aswell. Killzone 3 releases in February next year for the PS3.